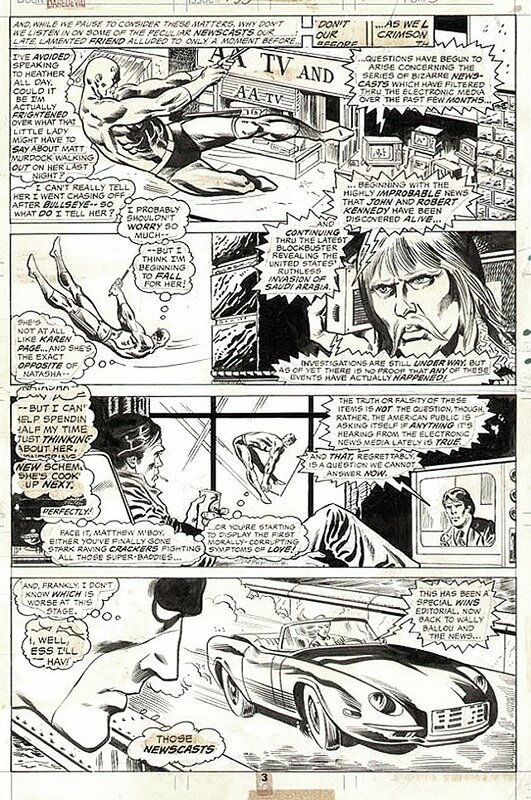 EXCELLENT 1976 Daredevil action page with DD swinging throughout entire page, drawn by Bob Brown and the great Jim Mooney! A few word bubble stats are missing and some glue stain residue. ALL art on our website (including this one) are able to be purchased with VERY fair time payments, and trades are always considered towards "ANY" art on our website! Just send us an email to mikeburkey@aol.com and we can try to work something out.